At Woodlands Recovery Centers, we use a wide variety of methods to help people overcome addiction. We also create custom treatment plans to address their individual needs. However, some services are part of nearly every tailored treatment plan. One example is dual diagnosis treatment. There’s a good reason why most rehab centers offer dual diagnosis treatment. Addiction doesn’t typically happen on its own. Most of the time, it’s the result of an underlying mental health issue. Dual diagnosis programs deal not only with addiction, but also the underlying cause of the problem. Addiction has a close relationship with mental disorders. In fact, it’s a type of mental disorder and can develop in response to another mental illness. For example, let’s say that individual struggles with depression. To relieve the symptoms, he or she often turns to drugs, but the results are only temporary. Then, the individual has to continue taking the drugs to maintain the relief. Eventually, abusing drugs this way results in addiction. Additionally, depression isn’t the only mental disorder that can lead to addiction. Nearly any mental illness puts people at greater risk of developing the disease. The main reason is that once the brain develops one mental disorder, it’s easy for it to develop another. 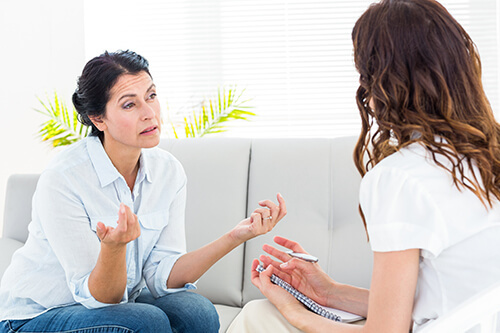 Why are dual diagnosis programs so important and work their way into nearly every addiction treatment plan? In short, people have to deal with their underlying issues to truly overcome addiction. Let’s say that someone has an underlying mental disorder on top of addiction. If he or she only seeks help for the addiction, then his or her mental problem could trigger relapse later. Dual diagnosis treatment covers a lot of different services. During the program, people engage in individual, family and group therapy. The goal of these counseling methods is to help them address the root cause of their addiction. It’s the key to starting the healing process. At Woodlands Recovery Centers, we strongly believe in family therapy. One reason is that it educates family members about addiction. It also plays a very critical role in dual diagnosis programs. In fact, a large majority of mental disorders start because of problems at home. Sometimes they’re genetic. Other times, the disorders are the result of environmental factors. For example, people who grow up in homes where drug abuse is common have a high risk for drug abuse. However, most people abuse drugs because of other underlying mental illnesses. Therapists often find out during family therapy that mental illness is an issue with other family members too. Woodlands Recovery Centers offer alternative therapy options as well. These services include yoga, exercise and music therapy. They help reduce stress and make it easier to focus on rehab. Don’t let addiction get the best of you. today to see how we can help. Call us right away at (855) 752-3377 for more information.